Batteries play an integral role in the operation and performance of a trail camera. Batteries are also typically the first place to look when troubleshooting a variety of issues. When a trail camera appears to be malfunctioning the first thing to do is replace the batteries to see if the issue is resolved. Below we have provided information as it pertains to batteries and their affects on the trail camera. 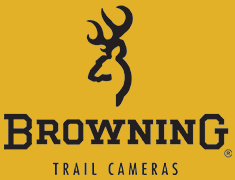 For optimal performance of your Browning Trail Camera we recommend using Browning branded batteries and Energizer. The batteries should be standard alkaline or lithium batteries. We do not recommend using rechargeable batteries as they have less capacity and lower voltage. Rechargeable batteries will not operate your trail camera reliably or at its full potential. When operating a trail camera in temperatures below freezing the batteries are affected which has a direct impact on the functioning of the trail camera. In these temperatures degradation of the batteries power occurs however, usually the batteries will regain their power when warmed back up. As a general rule lithium batteries will provide the best performance in cold temperatures though still affected. While all most all problems can be first looked at as battery related there are some that are more directly related than others these include, but are not limited to: not powering on, slow response times, missed triggers, reduced or non-existent flash function and rapid power loss. For optimal performance use only the recommended batteries for your trail camera. This information is provided in your trail cameras instruction manual. Replace all batteries at the same time and do not mix the type of battery being used. Each time a new set of batteries is installed ensure that the reading on the camera is 100%. Ensure the batteries are installed properly, by aligning the (+) and (-) terminals correctly, before powering on the trail camera. When the trail camera is not in use remove the batteries. What external power source can be used in conjunction with my trail camera?